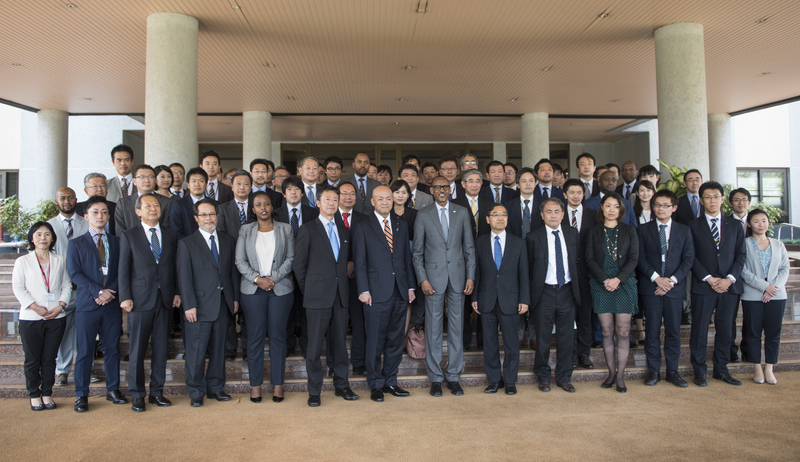 President Paul Kagame (Centre) in a group photo with visiting delegation of Japanese Investors and government officials. President Paul Kagame has said that Rwanda has all it takes to gain a share of technology that Japan offers to build its domestic projects. The President who held talks with 57 representatives of Japanese companies and representatives from the public sector of Japan, said that Rwanda is not afraid of leapfrogging. “We are not afraid of leapfrogging in Rwanda. We want to take advantage of technologies Japan has, where we can. We are not saying if we are not starting from the bottom and move slowly then we will not move. We do both. We try to narrow the gap as fast as we can,” Kagame said. 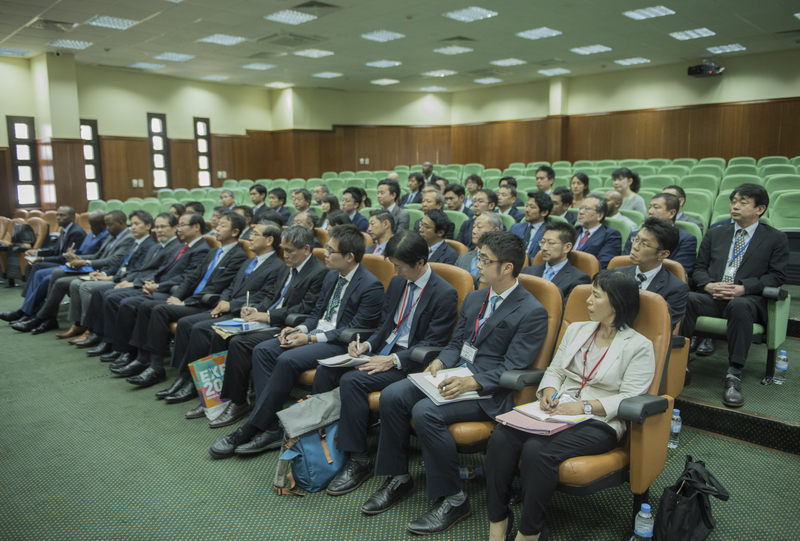 The Japanese delegation has been in the country for the past two days where they looked at available investments in the areas of technology advancement. Claire Akamanzi, Chief Executive Officer of Rwanda Development Board who accompanied the delegation to a meeting with the President at Rwanda Defence Force (RDF) headquarters, said Japan has revolutionalised its mission and focused on investment in Africa. “For years back, Japan has been investing less in Africa, but in the last 5 years, their investments have increased,” she said. According to RDB, the number of Japanese investments in Rwanda currently totals to $21.458 million – creating 178 jobs in agro-processing, horticulture, mining, ICT and service sectors. Meanwhile, President Kagame told the delegation that: “There has been a good relationship between Japan and Rwanda, we are trying to increase the private sector involvement to back the intentions of leaders and our people in achieving development objectives,” the President said. The 57 member delegation was led by Manabu Horii, Parliamentary Vice-Minister of Foreign Affairs.